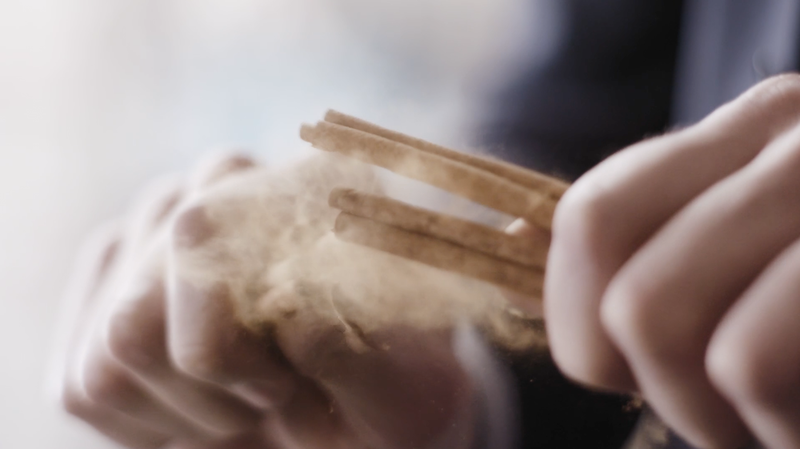 Bombay Sapphire believes that bartenders are artists and wanted to inspire others to see cocktail-making as an art form. 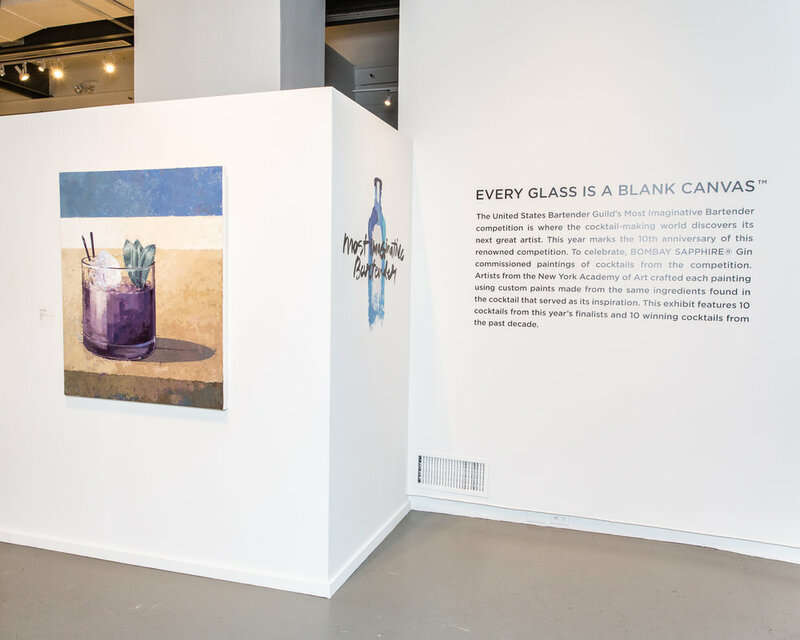 So to celebrate the 10th anniversary of their renown bartending competition, we turned cocktail ingredients into paint and brought the winning cocktails to life on canvas. Over 25 paintings were created and exhibited at an international art gallery in NYC. Visitors engaged in a totally unique experience where they could sip the cocktails and, at the same time, contemplate the painting that it inspired. Both made with the exact same ingredients. The pigments were mixed with acrylic binders and turned into paint. In collaboration with Golden Paints. 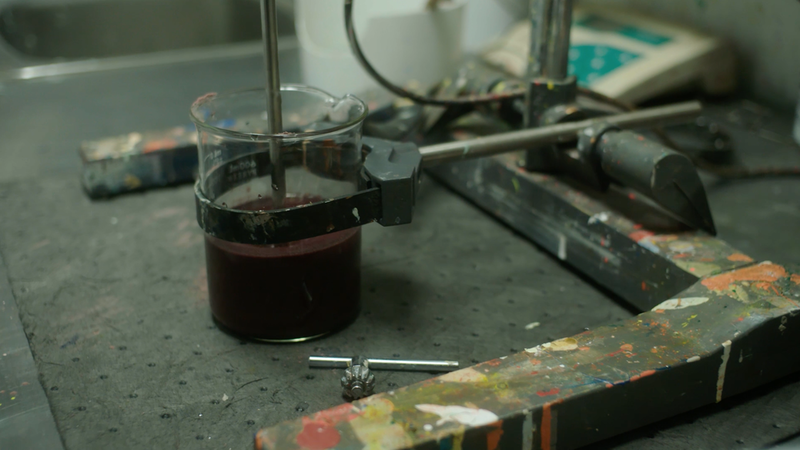 All in all, 173 batches of paint were created to match the ingredients found in the competition's winning cocktails. The paints were then given to 10 different artists from the New York Academy of Arts. Each artist was given a cocktail and a set of paints derived from it's ingredients and tasked with recreating the cocktail as a painting.